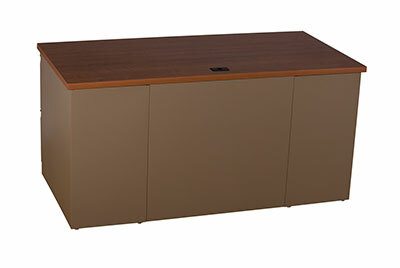 ES Series desks from Invincible Furniture. Designed for those budget minded consumers who still want a quality product but at a better price point! Full pedestals and a full modesty panel. 1-1/4" laminate top with PVC edge. Box and file front construction. 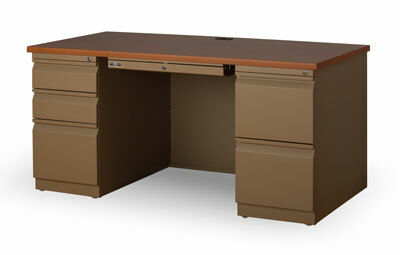 Same heavy duty suspensions as in our standard desks. 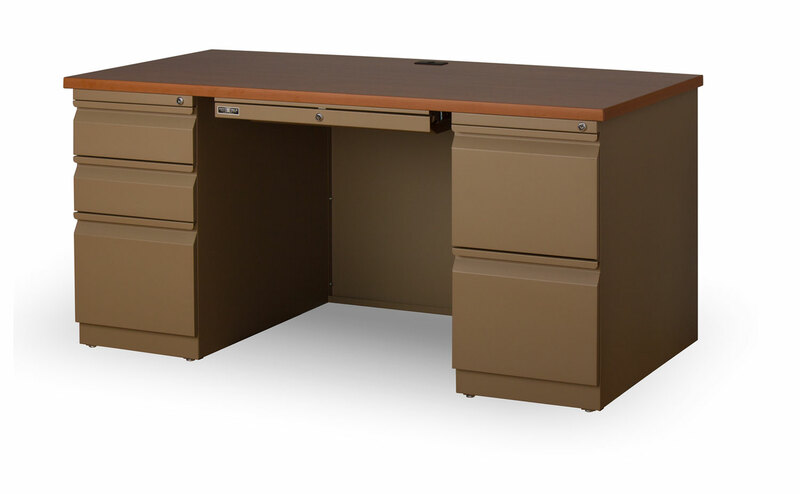 Optional plastic center drawer (steel available). Pedestals are slightly shorter than our standard Ultra Pedestals. Wilsonart laminate is standard. Desks available in all Invincible standard laminate patterns/colors, plus many additional laminate options available on-request (upcharges may apply). Available in all 43 standard paint colors! Options include grommets and casters.